New Wave Toys, a creator of video game collectibles, has announced the Street Fighter II: Champion Edition X RepliCade. The mini 1/6 scale arcade machine is 12 inches tall and officially licensed by Capcom. You can preorder it now for $99.99 until the end of February 2019. After that, it will sell for $119.99. The retail units are currently planned to ship sometime this summer. The Street Fighter II: Champion Edition X RepliCade has wood cabinet construction, with illuminated marquee and cabinet accents. It has a diecast metal coin door and storage compartment, and hi-res cabinet art reproduction on 3M vinyl overlays. It has amplified-stereo audio reproduction, a built in rechargeable battery, and a 3.5″ flat LCD color screen. 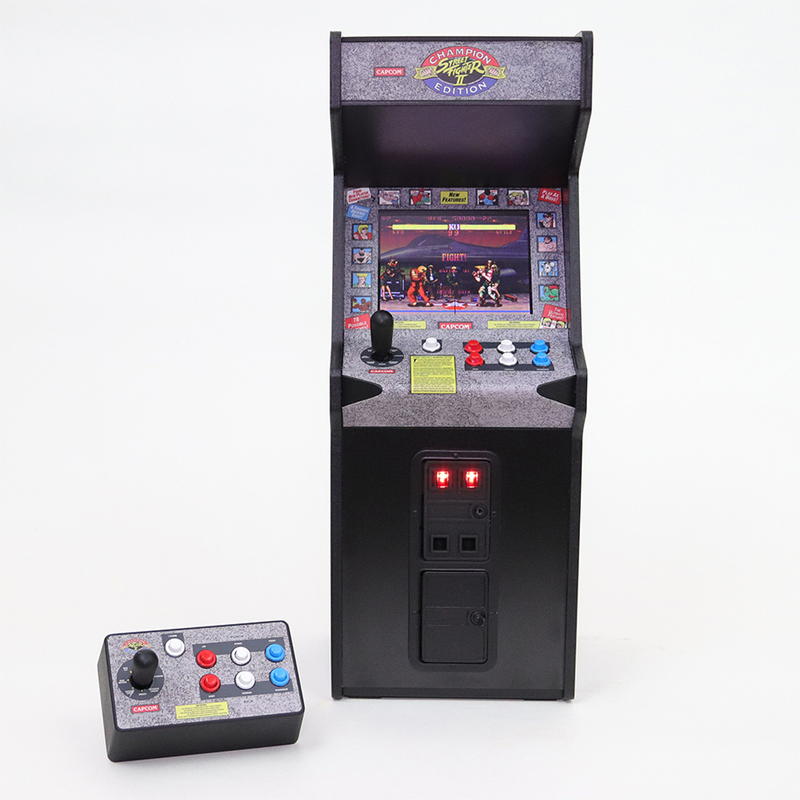 The limited edition mini arcade machine uses non-volatile memory to store your high scores. You can find out more about the Street Fighter II: Champion Edition X RepliCade and other mini RepliCades at https://newwavetoys.com.